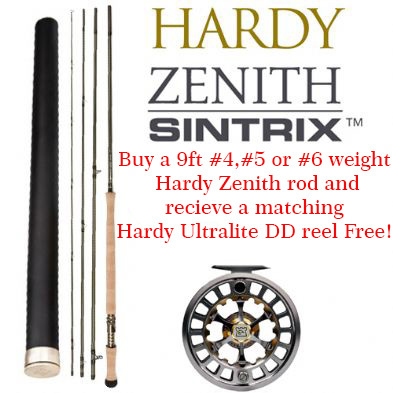 The award winning Hardy Zenith Sintrix rod continues to be one of the worlds most talked about fly rods. So take advantage of Fly Only’s fantastic offer on a range of 9ft Hardy Zenith rods each coming with a matching Hardy Ultrlite DD reel worth £229 absolutely free. We would like to invite you to join us at our second ‘Brands in Focus’ event of the summer on the banks of the river Wharfe at Bolton Abbey. Meet Guideline Power Team Member and renowned AAPGAI master instructor Jim Curry who will be showcasing a range of Guideline products including the long awaited Fario CRS and LXi T-Pac rods. Also on show will be a range of other Guideline products including clothing, fly lines, waders and boots. This is your opportunity to come and try these products whether it be trout, salmon or shooting heads, etc. On hand will be Bolton Abbey river keeper and AAPGAI Mark Whitehead who will be doing a river walk and an invertebrate kick sample. Other Guideline ambassadors will also be available to offer advice and tips on various Guideline products to suit your angling needs and give free casting tuition on the day. Waders and/or wellies would be advisable if you wish to try the rods in the water.